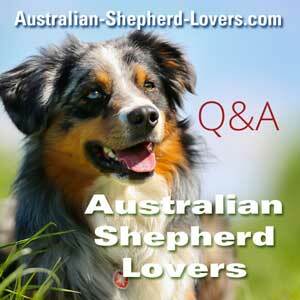 How Big Of A Kennel Do You Have For Your Aussie? My husband and I have recently gotten our first Aussie puppy! We’ve been borrowing a kennel, but have to return it soon. How tall is your Aussie from toe to ears when sitting? What size kennel do you have? We want to make sure she’s comfortable! Comments for How Big Of A Kennel Do You Have For Your Aussie? We bought the biggest one we could get from tractor supply. XL I believe. We have a 48". My Aussie is now 11 months and can sit up without ducking his head. Buy the largest size you can find. I bought a 3-foot long kennel, but he outgrew it rather quickly. He outgrew the 4-foot long kennel, too, but by that time, he could be trusted not to run amok so he no longer needed to be confined at night or when alone in the house. He was a crazy pup, but grew out of the craziness nicely.